An early build of patch 5.2 is hitting the PTRs early tonight, though it isn't yet available for play. Blizzard has announced some things of the new patch. This patch will include a massive new raid dungeon, a multi-faceted new quest hub, Pet Battle improvements, new world bosses, significant class balance changes, brand new pets and mounts, assorted bug fixes, and more. Who is The Thunder King? The Thunder King is actually Emperor Lei Shen, the First Emperor of the Mogu. The Mogu were a barbaric race that existed in Pandaria in various tribes, much like the Orcs. You could actually draw a solid line of distinction between the mogu and the orcs, minus the Burning Crusade's nefarious meddling in their lives. Lei Shen did what any powerful person would do; he united all of the mogu tribes by eradicating his rivals one by one. To the mogu he was a pretty awesome guy, even if he supposedly used an artifact to accomplish all of this, yet to the rest of Pandaria he was kind of a jerk. He went around subjugating all of the lesser races and, since he knew the mantid wouldn't swear fealty to him, he just built a huge wall to keep them out. He also allied the mogu with the Zandalari trolls, before his death and the eventual collapse of the Mogu Empire. That's a critical point to keep in mind. Trolls are peculiar in Warcraft lore because they have pretty much more lore than most of the other races, they are very well fleshed out and the Zandalari have had their hands in pretty much everything up to this point. Anyway, in the quest "Lessons from History", you, the grave adventurer, proceed into the Tomb of Conquerors where your goal is to read from a tablet. Doing so will start a cutscene in which Prophet Khar'zul rolls in and ganks The Thunder King's corpse and proceeds to essentially walk out without much recourse. You eventually take him out in a duel to the death during the defense of Zouchin Village. He adamantly lets you know that The Thunder King now lives, they will be uniting the empires, he wants to feed you to the crows, that they need the land since the Cataclysm destroyed their homes, and things have only just begun. Standard lines, actually. So that's where we're left with things. The trolls stole this dude's corpse, are going to cast resurrection on him, and you'll have to deal with him in patch 5.2. 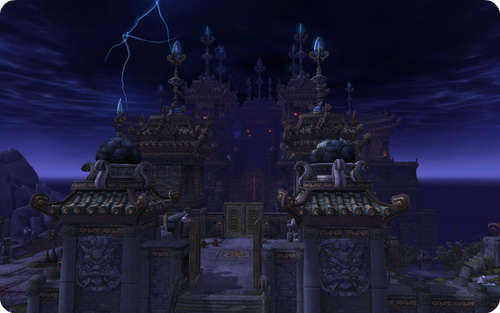 What is interesting to note is how The Thunder King isn't very pervasive in Pandaria lore. 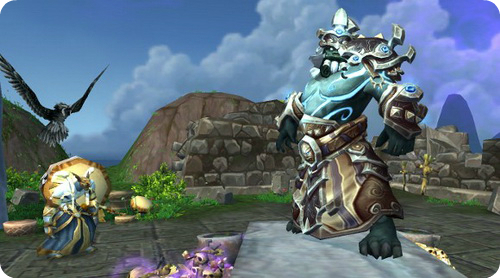 The mogu vs. pandaren empire is a pretty big deal, but The Thunder King is no Arthas or Deathwing. Arthas, as we all remember, was the Team Rocket of WoW. Him, Anub, and Kel'thuzad would show up in their flying fortress and then blast off again, until their eventually, hopeful, final defeats. Deathwing was a bit different, everyone talked about him but you didn't see a lot of him, minus his short conversation with Ragnaros and his duel with Alexstrasza. Lei Shen will be an interesting fight, emotionally anyway, because he's more of a cause and effect type boss. You let the trolls resurrect him and now you'll need to kill him before he goes around subjugating people. He's in no way the ultimate end boss of the expansion, but he is powerful and we have lots of reasons to kill him. He hasn't really gained our ire, sure, but who wants to let someone enslave pandas? While waiting for patch 5.2's reveal, you can stay on PTR realm for more information of it. Certainly Blizzard isn't wasting anytime on updating the news of patch 5.2, as well as on upgrading the game of Mists of Pandaria. A patch note is now available on Battle.net for preview, including the changes and updates of general game play, classes, quest, and the most expected PvP, and many other things. You can check the full patch note on Blizzard official site.